A harmonious juxtaposition of classic and modern architecture – this best describes the new looks of Frankfurt’s Opernplatz square, where the new, multifunctional OpernTurm was recently completed on the western side of the square. 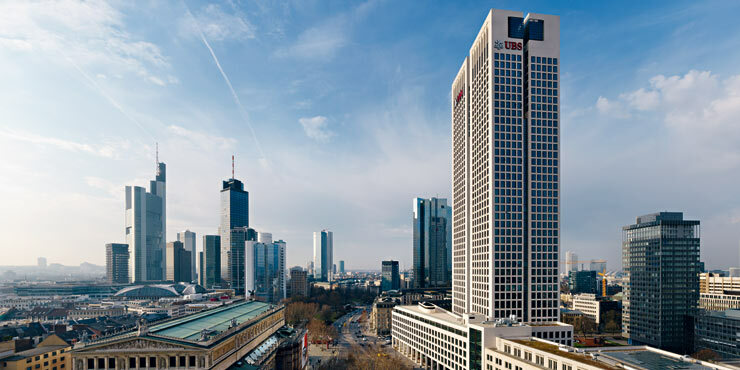 Frankfurt, the city known for its skyscraper skyline, has regained some of its old-time charm and can once again demonstrate its sense of classic style in impressive fashion. Composing an ensemble in visual harmony with the environment was the basic idea underlying the concept developed by architect Prof. Christoph Mäckler. 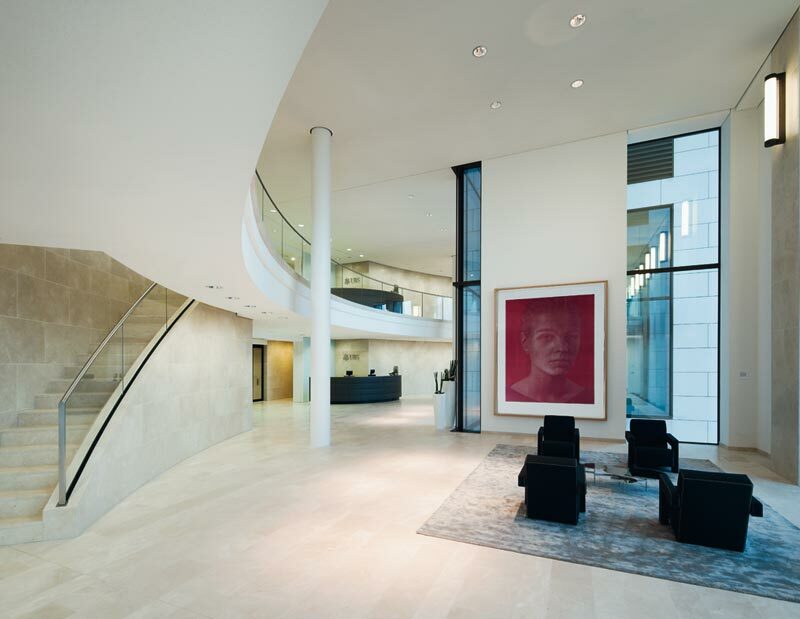 “Appropriateness” is the philosophy of the Frankfurt-based architects, who attach great importance to integrating their buildings within the urban context. His firm sees urban architecture as the art of reconciling the needs of private space with public needs. At a height of 170 metres, the new OpernTurm rises high above the city on the river Main. As a counterpoint to the glass and aluminium skyscrapers so prevalent in Frankfurt, the new tower is clad in yellow-beige natural limestone, the same used around the Opernplatz square some 200 years ago. This colouring ensures that the OpernTurm integrates with the Opernplatz and the Alte Oper opera house. The classically shaped tower is divided into a basement with an inviting four-storey entrance hall, an office section in the middle and four loggias. As a new centre for business, culture and shopping, the two-storey arcades of the OpernTurm house shops and restaurants. 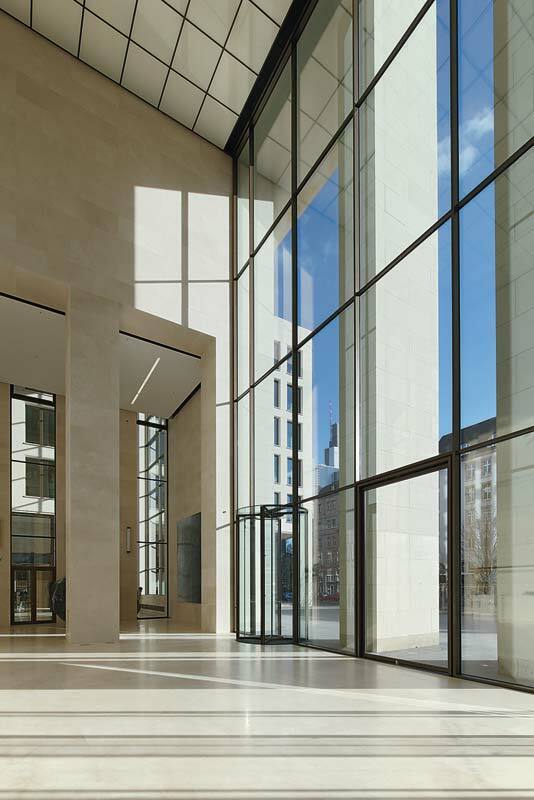 Thanks to its unique construction, the 18-metre high, light-flooded entrance hall is one of the main highlights of the building. The harmonious overall impression of the OpernTurm is also reflected in the sanitary facilities. The classic lines and the no-frills design make a discreet statement. 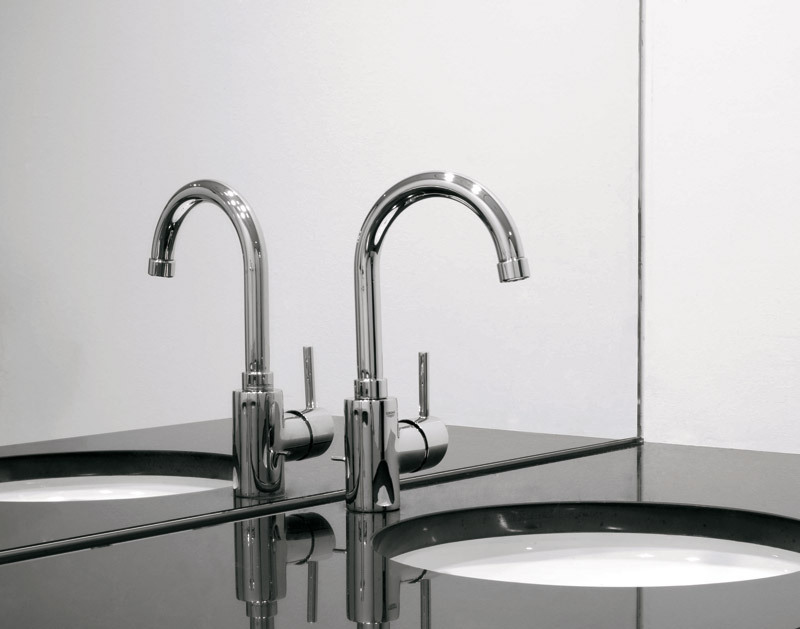 Faucets such as GROHE Concetto with their tall curved spouts add a very special touch. 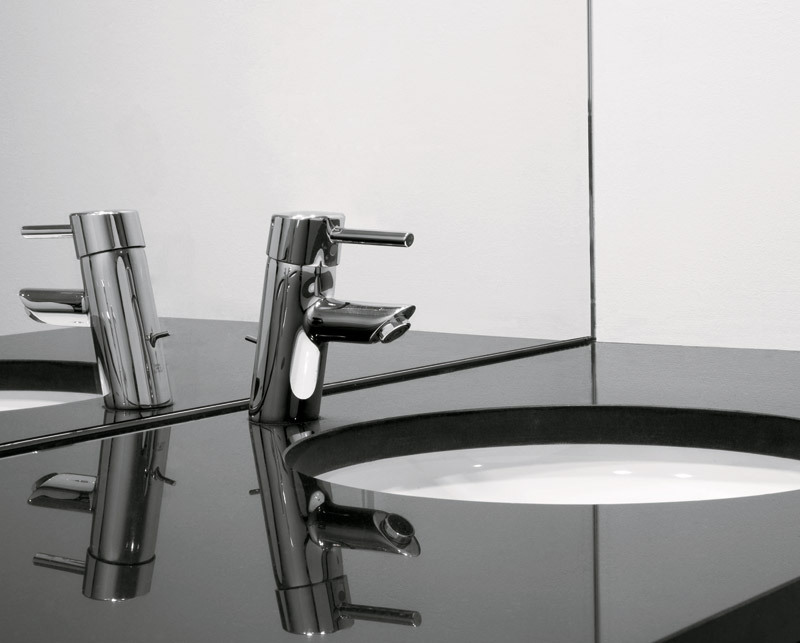 The advanced GROHE SilkMove® cartridge technology ensures smooth and precise operation. 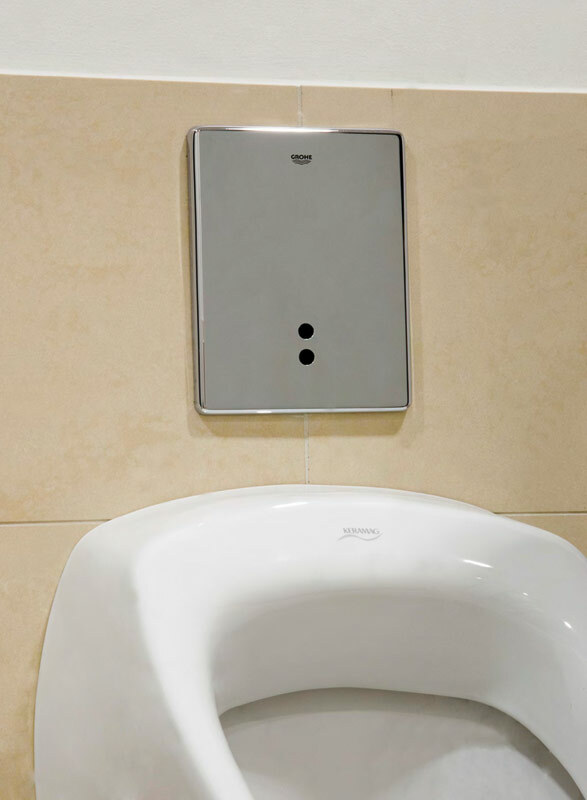 Thanks to infrared control, the urinal flushes keep a low profile.